There's no doubt that there are way too many case manufacturers in the market. I'll be presenting two alternative and smaller manufacturers today. The first is Things You Wear, a Polish Etsy crafter who makes a variety of cases for (mostly) Apple products. 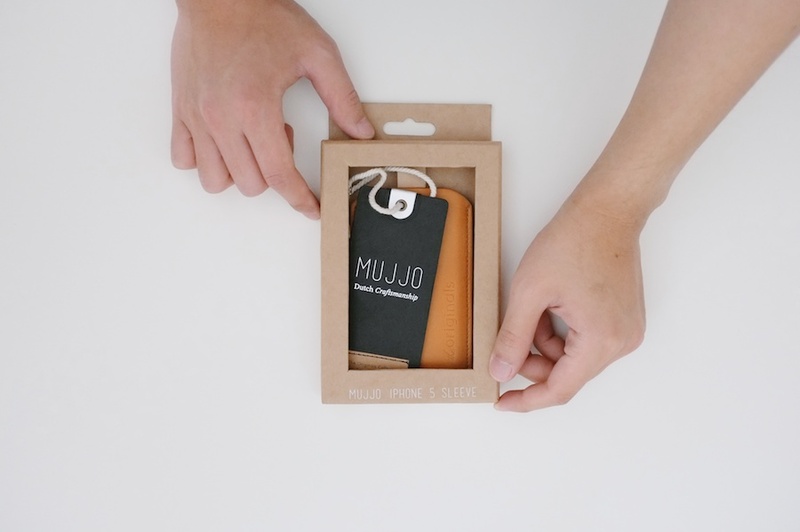 Second is Mujjo, a Dutch company who makes leather/felt cases for Apple devices. If you are interested in either of these, you really should read this review before spending your money - I have some important observations. First is Things You Wear's (whom I will call TYW for simplicity) sleeve for the MacBook Pro. Being a seller on Etsy, this means that all of the products are made by one person - a woman named by Dorota in this case. The packaging is fantastic. The sleeve. I love the colors here. Most of the cases TYW sells aren't things I'd buy but there are a few that I adore in her lineup. I was asked to pick one to review, and I picked this one called "Business". It runs for $39. The sleeve is available in a variety of versions, mine is for the 15" MacBook Pro. The fabrics are fairly thin, but the case is nicely padded so light to medium bumps should be no problem. There is also a flap that protects the top of the MacBook. In terms of functionality as a sleeve, I have no complaints. The craftsmanship is pretty good and I see no serious durability problems in the near future. The case has a small pocket on the front that's useful for keeping an iPad protected from scratches. If you're crazy and wanted to, it's possible to carry both a Retina iPad and an iPad mini. There is one problem with the case though - it's the leather strap. Despite the rest of the sleeve having near perfect fit and finish, the strap has a rather jagged rounded end and a crooked stitching job. The stitching in particular is hard to ignore because it is such a prominent aesthetic element. Overall, I do like this sleeve a lot. I use it everyday and it's been a conversation starter - particularly at my local Apple Store. I also adore the fact that it is hand-made by a single individual. If you like the way it looks, I would order one without hesitation. The slight imperfection is a serious let down but I'll give TYW the benefit of the doubt and think of it as an accident that doesn't happen often. Next is a sleeve made by the Dutch company Mujjo for the iPhone 5. The packaging is simple and has a rather strange tag that's not attached to anything. Notice the tagline "Dutch Craftsmanship". Here is the sleeve. It's made from vegetable tanned leather and is priced at a not-cheap €34.95. The case is not unlike my old Scene Stealer sleeve that I used to use with my iPhone 4. Both are simple sleeves made from vegetable tanned leather. The Scene Stealer was one of my favorite cases ever and I had used it until the inner lining peeled off. It's a product that had changed my perception of leather. You can probably see why I was excited when Mujjo wanted me to review this case. Things go downhill quickly from here though. First of all, the case is rather large. This is because case isn't stitched from the side like the Scene Stealer. It's not a big problem though - just not optimal. But the leather itself is decent though. The color is not unlike Castello DaVarg's KANAM5 that I reviewed recently. The leather is characteristically very different though. DaVarg's leather feels durable, stiff and smooth where as Mujjo's feels delicate, soft and supple. Here is where the case falls on its face - it has absolutely no aspiration in being durable. This is what the case looked like after a few days of use. The stitching and inner lining has begun to come apart and the edge treatment is splitting. The leather is also so soft that it's showing ugly marks from flexing. All of these things happened with my Scene Stealer, but it took nearly two years, not days. Now that I've had the case for two weeks, it looks even worse. I was thinking of taking another photo but it's not even worth the effort. This is unacceptable especially when you consider the price and I am a bit surprised that they put so much emphasis in being hand crafted in the Netherlands. It's an insult. The guys at Mujjo are great but I'm sorry, you can't sell a $45 dollar case that begins breaking down in under a week. If you're looking for a sleeve for your MacBook Pro, the Etsy user, Things You Wear may have something for you. Her craftsmanship is pretty good and there is totally a charm in buying something made by an individual, not an assembly line. If you're looking for a simple leather case for the iPhone 5, look at the Castello DaVarg and stay away from Mujjo's sleeve. This review has been a reminder that I do these reviews for you, the reader, not the companies that send me free products. I actually only respond to under half of the people wanting me to send things - if something looks like I wouldn't buy it with my own money, I refuse to review it. There are way too many websites reviewing products without much of an opinion. Minimally Minimal is a place to worship great products.